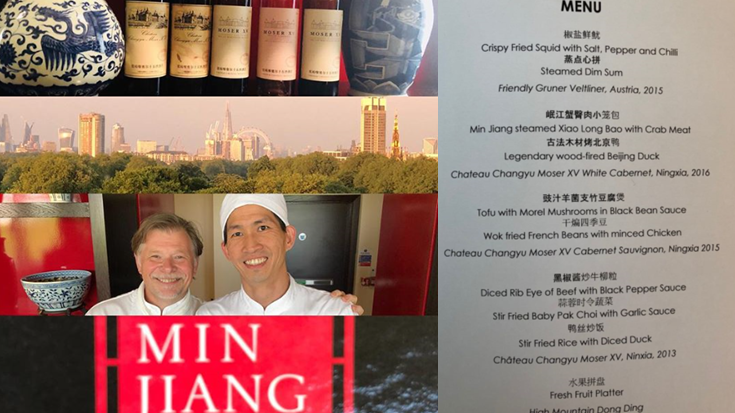 10 years celebrations with with Changyu Moser XV Wine at the Min Jiang Restaurant at famous Royal Garden Hotel, one of the best Chinese restaurants in London. 15 journalist guests alongside with peking duck and other delights excited and of course with ccmxv wines. White cabernet being the star of innovation again.